a fine from $200 up to $1000 (see MCL 324.40118(3)). For persons with 2 convictions for the same offense within 5 years, the minimum fine is $500 and the maximum possible fine becomes $2000 (see MCL 324.40118(17)). the costs of prosecution (see MCL 324.40118(3)). Different counties may vary in terms of how they calculate the costs of prosecution. loss of hunting privileges during the remainder of the year in which the conviction occurred [which is not always the same year as when the alleged violation occurred] plus the next 3 calendar years (see MCL 324.40118(7)). The penalties are worse if an antlered white-tailed deer was killed. 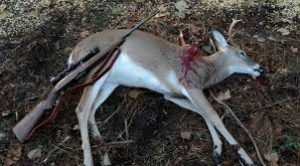 In this event, there is an additional loss of hunting privileges of 2 years (see MCL 324.40118(8)(a)), unless the person has a prior conviction for the same offense. With the prior conviction, the additional loss of hunting privileges becomes 7 years (see MCL 324.40118(8)(b)). Hence, with a prior conviction, the worst scenario is that the hunter losses the ability to lawfully hunt for 11 calendar years. Restitution. Restitution can become extremely expensive. The minimum amount of restitution for a deer is $1000. However, if the individual is convicted of killing an antlered white tailed deer, there is an additional restitution fee of $1000. For trophy bucks there are additional restitution fees. If the antlered white tail deer had from 8 to 10 points, an additional $500 per point is charged. If the antlered white tail deer had 11 or more points, the additional amount per point becomes $750. Points are measured from the tip to the nearest edge of the antler beam. If the distance is 1 inch or longer, it is considered a point for purposes of this computation (see MCL 324.40119(12)). If the restitution is not paid, the Court can impose additional jail time through its contempt of court powers (see MCL 324.40119(7) through (10)). The court can impose additional fees for probation oversight expenses, if probation is ordered. There is a crime victim’s rights fee that is mandatory. Any conditions that the court could impose as part of a probationary sentence, the cost of those conditions are the Defendants responsibility. For example, if the court orders drug/alcohol testing (which it can, even if alcohol/drugs had nothing to do with the offense), the Defendant pays for testing. 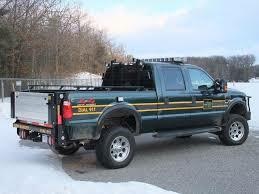 In some cases the DNR officer can seek forfeiture of the bow or rifle used to take the deer. The deer is always forfeited to the State of Michigan. How does DNR make a determination that the deer was unlawfully taken? Usually they receive a tip of some sort that the deer was allegedly taken. It could be from a neighbor, another hunter, somebody with an axe to grind, the person who tracked the animal with dogs, etc. When a call is placed DNR makes a determination if the hunter had a license/tag for a deer in their own name. They also determine when the license/tag was acquired. It is not uncommon in these types of an investigation for a hunter to purchase the tag after the deer was taken, which is not permissible, and for a conservation officer to discover the same through a computer database. The DNR officer will try and make contact with the hunter and collect evidence. Often the DNR officer can determine the approximate time that the deer was taken by the internal temperature of the deer. The DNR officer will attempt to interview persons with knowledge about the deer taken, including the hunter. Sometimes the hunter’s admission is what leads to prosecution. The admission can be through an interview with a DNR officer. Sometimes the admission is through other sources such as social media, text messages/emails, or through statements the hunter allegedly made to other persons. It is important to remember that everyone has constitutional protections, including a 5th Amendment privilege to not make any statements that may incriminate. A hunter under investigation does not have to volunteer information such as, but not limited to, information contained on a cell phone. However, in some instances, the prosecution may attempt to obtain a search warrant if it suspects there is evidence of a crime on a cell phone, tablet, or computer. The DNR officer or prosecutor will decide what, if any, laws were violated. Sometimes a ticket is issued on the spot. In other circumstances the hunter receives notification of the alleged offense(s) after the DNR officer consults with a prosecutor. It is not uncommon for the DNR officer or prosecutor to issue multiple citations for other hunting related offenses along with unlawfully taking a deer (such, but not limited to, illegal baiting, failure to wear hunter’s orange, hunting outside of permissible hours, etc, etc.). For any hunting related violation, you should immediately hire a criminal lawyer with experience with hunting related violations. Why? Society, courts, DNR officers, and prosecutors often have a dim view when it comes to alleged poaching. 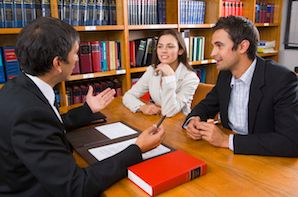 Sometimes an experienced lawyer is needed to place the case in its right context. Sometimes mistakes are made by hunters who had no intention of violating the laws. Sometimes mistakes are made by DNR. A lawyer who can effectively communicate what actually happened may make a difference in the result that ultimately is obtained. Hunting laws frequently change. The information in this blog is not intended to be a substitute for consulting with an experienced criminal lawyer. Make the smart decision and contact attorney Daniel Hilf at 248-792-2590 for all hunting related charges.